No, not me. Well, maybe that, too, but I’m referring to the beleaguered slash, which you may know as a diagonal, virgule, solidus, slant, stroke, oblique stroke, separatrix, shilling mark, or forward slash (that low-self-esteem retronym which seeks to distinguish the slash [/] from the backslash [\]). [In AP style,] slashes are acceptable only in certain phrases and “special situations,” such as with fractions. 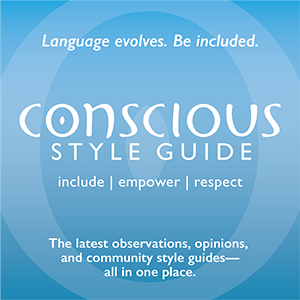 It may surprise you to learn that the most common usage of the slash, as a signifier of alternatives/options/choices, has been barred in AP style; slashes are acceptable only in certain phrases and “special situations,” such as with fractions. 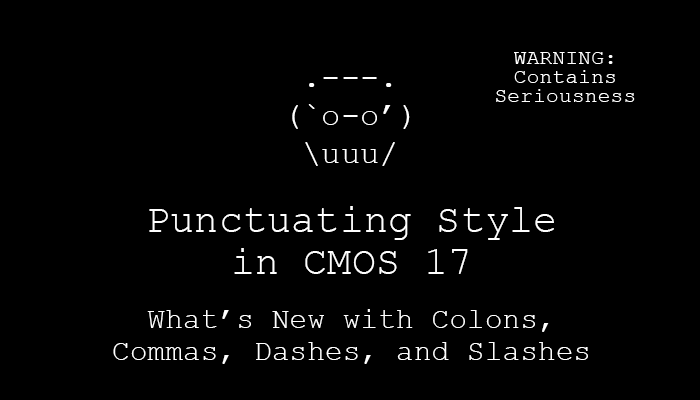 A heavy user of slashes and other intoxicating punctuation such as semicolons, I do admit to relying upon them to organize the contents of my brain when I’m in a hurry. And why not? They’re free, and I can use the time I’m saving for more important tasks, like chewing properly. AP: We never said that slashes are tacky or that using them is lazy, but we’re cool with those inferences. Here are the acceptable uses. AP doesn’t explain this, but in the stylebook, the slash is also used in abbreviations such as TCP/IP and NAA/IPTC. 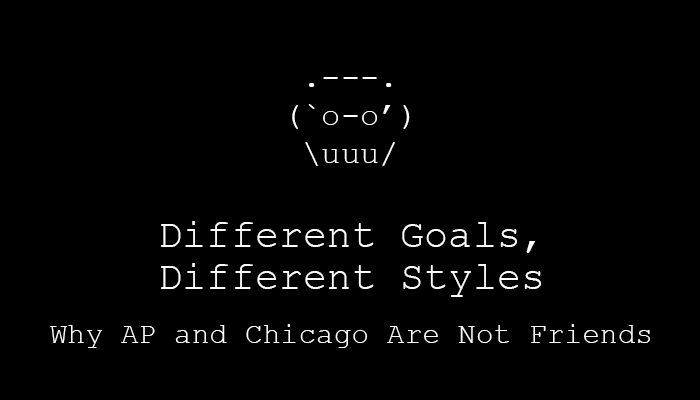 In the 14th edition (1993) of The Chicago Manual of Style, the slash was listed under “solidus” and was summed up in one paragraph. Cute, right? It didn’t make the first edition, in 1906, but that was a two-hundred-page baby compared to today’s thousand-page sumo wrestler. Chicago: We love our versatile little friend. Here are some of its uses. So that’s the nitty-gritty of slashes and style. When in doubt, ditch the spaces and you’ll be right most of the time. Now, let’s talk about how to render a slash in certain contexts to improve readability, which is, after all, the heart of copyediting. (Or the lungs. Some vital organ.) Non-editors tend to either compulsively add spaces around all slashes or close them all up. 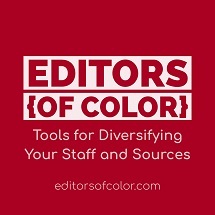 When in doubt, ditch the spaces and you’ll be right most of the time; however, Chicago has an option for handling open compounds (two or more words separated by a space, e.g., copy editor) that offers more flexibility and clarity—totally worth memorizing. More on that coming up. In most cases, there are no spaces on either side of the slash. This is especially true for unique (read: inflexible) constructions such as directory paths and filenames, where our use of the slash is driven by requirement, not style. Brief rant: There’s a rogue slash style making the rounds, usually on résumés, for some reason: no space before the slash but one after. I’m not impressed by this. It’s a red flag that points to poor decision-making more than anything else; even if executed consistently, it isn’t a style which showcases a copy editor’s skills. Rather, it may expose them as a street editor (as in any schmoe off the street). Not that I don’t appreciate this heads-up. AP: To show line breaks when quoting poetry in running text, use a slash between the lines, with a space before and after the slashes. Chicago: Ditto. And when quoting more than one stanza in running text, insert two slashes [//] between the stanzas. 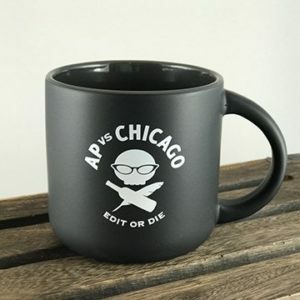 Although Chicago discusses this explicitly, AP actually doesn’t say anything about putting spaces around slashes for quoting poetry—only that slashes can be used to denote “the ends of a line in quoted poetry.” Good enough for me! Chicago: If one or both of the terms separated by the slash consist of two or more words, a space before and after the slash may aid comprehension. This option really appeals to me, because it helps to visually group an open compound, making it clear that words beyond the ones immediately surrounding the slash are part of the thoughts being weighed. The 15th edition had prescribed a thin space before and after; in the 16th edition, we’ve graduated to a full space, certainly a more realistic option for writers, editors, and typesetters. (Spacing slashes was not even addressed in the 14th edition.) I applaud this move towards simplicity and am looking forward to a thinner edition in CMOS’ next incarnation. Well, I can dream, at least. I applaud this move towards simplicity and am looking forward to a thinner edition in CMOS’ next incarnation. 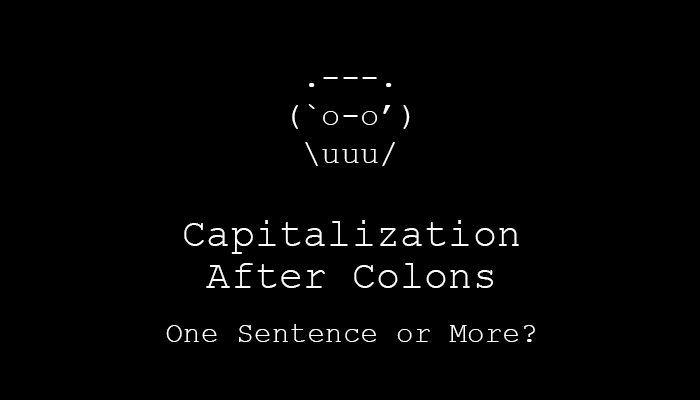 Capitalization After Colons: One Sentence or More? Understandably, many editors are confused about when to capitalize the element directly following a colon. The strategy I happen to use is pretty brain-free, which is to say that it follows AP style. Lucky for us, AP and Chicago agree on one thing before they part ways. AP (p. 366): Lowercase the first word unless it is a proper noun or the start of a complete sentence. These are some of my favorite things to have for dinner: ravioli, Ethiopian food and breakfast. She told me her secret ingredient: It was butter. Chicago (6.61): Lowercase the first word unless it is a proper noun or the start of at least two complete sentences or a direct question. I finished reading my friend’s first draft: it was painful. We can do several things this weekend: We can watch King’s Speech. We can do our taxes. Or we can have a tequila party. AP and Chicago agree on one thing before they part ways. Don’t use more than one colon in the same sentence. Don’t add anything else to a sentence after you’ve finished introducing the element(s). 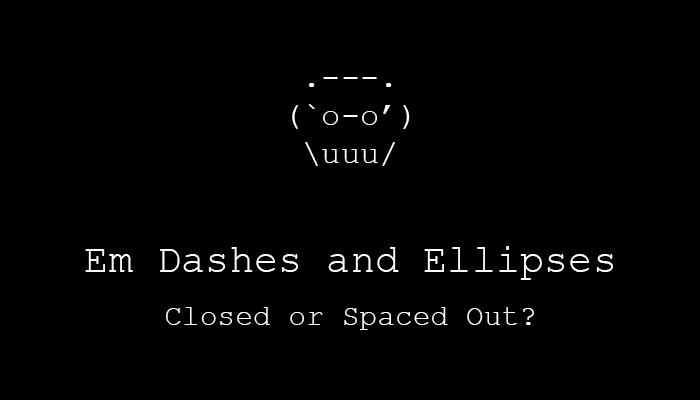 For that, I prescribe a pair of em dashes to set off the element(s) instead. Lose the colon before a subtitle, or secondary title, when the title is displayed on a book cover (or movie poster); by convention, the colon is understood. Don’t use a semicolon instead of a colon to introduce a clause. A note about colons and spaces: Although I, too, was raised to put two spaces after periods, colons, exclamation points, and question marks by a typewriting teacher who was alive during the Great Depression, it is no longer correct to do so, especially in this age of beautifully typeset materials. The fastest way to clean extra spaces from your copy is to use Microsoft Word to “find” two spaces and “replace” them with one space, and then repeat until two spaces cannot be found. Though AP only gives the colon a scant 7 column inches of space compared to Chicago’s 2 pages’ worth, it goes out of its way to tack on a little note barring the combination of a dash and a colon. I guess emoticons can’t have noses anymore. And that, my friends, is how you avoid capitalization altogether.